How policymakers should guide, manage, and oversee public bureaucracies is a question that lies at the heart of contemporary debates about government and public administration. 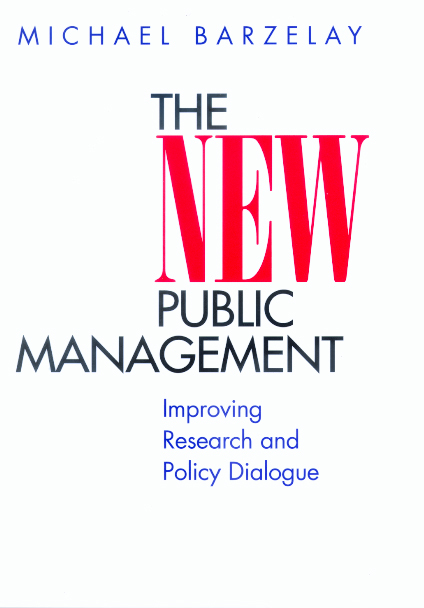 In their search for better systems of public management, reformers have looked in particular at the United Kingdom, Australia, and New Zealand. These countries are exemplars of the New Public Management, a term used to describe distinctive new themes, styles, and patterns of public service management. 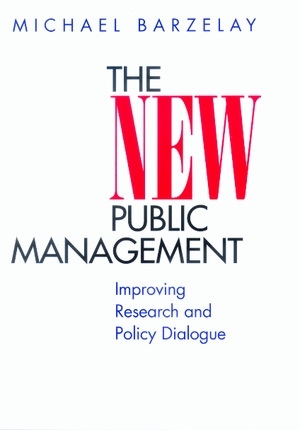 Calling for public management to become a vibrant field of public policy, this valuable book consolidates recent work on the New Public Management and provides a basis for improving research and policy debate on managing public bureaucracies. Michael Barzelay is Lecturer in Management and Government at the London School of Economics and Political Science. Formerly an associate professor at Harvard's John F. Kennedy School of Government, he is author of Breaking Through Bureaucracy: A New Vision for Managing in Government (California, 1992) and The Politicized Market Economy: Alcohol in Brazil's Energy Strategy (California, 1986).